Polebridge Press. 4th printing thus,@1990. Very Good soft cover. 8vo,soft covers,165pp. edgewear,corners curled,scratches,cover. clean and tight text. religion. Q Magazine Omnibus Press. 1994. Good paperback. 16mo,paperback,191pp. edgewear,corners worn,small taped tear spine foot,spine crease,creases,scrapes,scratches,cover. light tanning,clean,tight,text with corners bumped. music. Futura. 1986 & 1985. Good+ paperbacks. two 16mo,paperbacks. edgewear,scratches,yellowing,covers. yellowing,clean,tight,texts. memoirs. Lippincott. 1st printing ?,1970. Very Good+/Good+ hard cover. 12mo,boards,127pp. edgewear,small tears,rubbing dust jacket. light shelfwear,light yellowing edges. University Press of Hawaii. 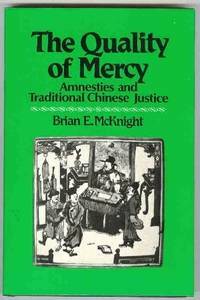 first printing,1981. Very Good+/Good+ hard cover. 8vo,cloth,172pp. edgewear,scrapes,scratches,color leeched back,dust jacket. slight slant spine. clean,tight,text. legal. Dutton. 1st printing thus,1983. Very Good- soft cover. 8vo,soft covers,127+pp,calligraphy,illus. edgewear,corners curled,a few rubbed spots,cover. edges yellowed,clean and tight text. philosophy. W. H. Freeman. 1st thus,1995. Very Good soft cover. 8vo,soft covers,392pp,diagrams. edgewear,crease marks,scratches,corners curling,cover. corners bumped,clean,tight,text. science. Paperback Lib. 1st thus,1971. Good paperback. 16mo,paperback,238pp,illus. edgewear,corners creased,rubbing, cover. owner info top inside cover. inside covers foxed. text yellowed. Weidenfeld & Nicolson. enlarged edition,1st printing thus,1986. Very Good-/Very Good- hard cover. 12mo,boards,132pp,illus William Geldart. edgewear,tear taped inside top front at spine,scratches,dust jacket. signed by author on title page. tanning,clean,tight,text. anmials. Smithsonian Institution Press. 1st printing,1993. Very Good/Very Good hard cover. 8vo,boards,153pp,illus. edgewear,scratches,rubbing,dust jacket. light shelfwear cover. used book price inked over top front end page. clean and tight text. flight. George G. Harrap. 2nd edition,1969. Very Good-/Good+ hard cover. 12mo,boards,192pp,illus. edgewear,small tears,chip foot front,yellowing,scratches,smudges,dust jacket. light shelfwear,cover. edges tanned,yellowing,clean,tight,text. maritime. Atheneum. 1st printing America,1992. Very Good+/Very Good+ hard cover. 8vo,boards,669pp,illus. edgewear,light rubbing,dust jacket. slight shelfwear cover. pinch top corners last pages,clean,tight,text. bio's. G. Schirmer. no dates. Very Good-/Very Good hard cover. large 8vo,cloth,289 pages,musical notation. clear plastic dustwrapper. cocked. light shelfwear,back corners bumped. text yellowing,clean and tight. music. Carroll & Graf. 1st thus,1998. Very Good-/Very Good hard cover. 8vo,boards,434pp. edgewear,scratches,rubbing,dust jacket. light shelfwear cover. yellowing edges,stress at gutter title page. clean text. places. Poseidon. 1st printing,1993. Very Good/Very Good hard cover. 8vo,boards,271pp,illus. edgewear,wrinkles,rubbing,small tear top front corner,dust jacket. foot corners swollen,light shelfwear,cover. clean and tight text. music. International Polygonics. 1st thus,1986 & 1987. Good+ to Very Good paperbacks. two 16mo,paperbacks. edgewear,rubbing,scratches,yellowing,covers. yellowing edges first volume, clean,tight,texts. Simon & Schuster. 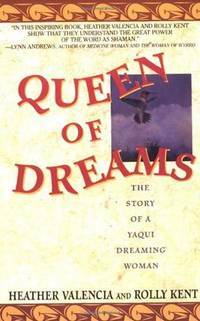 first printing,1995. Very Good+/Very Good+ hard cover. 12mo,boards,239pp. edgewear,rubbing,scratches,dust jacket. clean,strain at gutter title page else tight,text. slight shelfwear,cover. mystery. Beacon. 1st printing,1995. Very Good+/Very Good+ hard cover. 8vo,boards,346pp. edgewear dust jacket. clean,tight,text. gay.